20 ml, for children past 12 months old and adults. 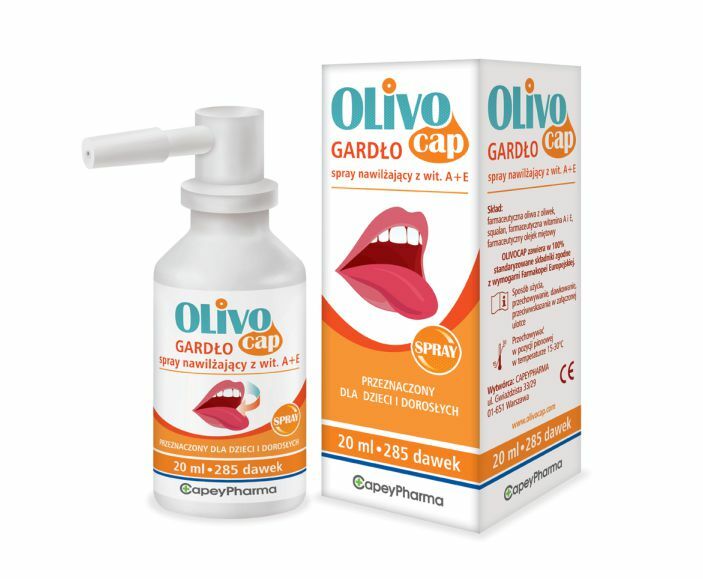 Olivocap® Gardło moisturizing spray with vit. A+E is a 100% natural spray comprehensively moisturizing the dry mucosa of the throat. ADULTS: spray 2-3 doses onto the tongue 2 to 4 times a day after meals. CHILDREN: spray 1-2 doses onto the tongue 2 to 3 times a day after meals.